SPEED™ System - What can we do to make you smile? SPEED braces are a state of the art orthodontic system that does not use elastomeric ligatures. 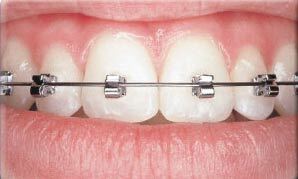 Instead, SPEED braces use spring-clips to straighten teeth. The clips are programmed by Bachmann Orthodontics to move teeth over time. SPEED braces are smaller than regular braces making them easier to wear, more comfortable and aesthetically more refined. SPEED braces are also easy to clean, which helps patients maintain optimal oral health one of our primary concerns here at Bachmann Orthodontics.